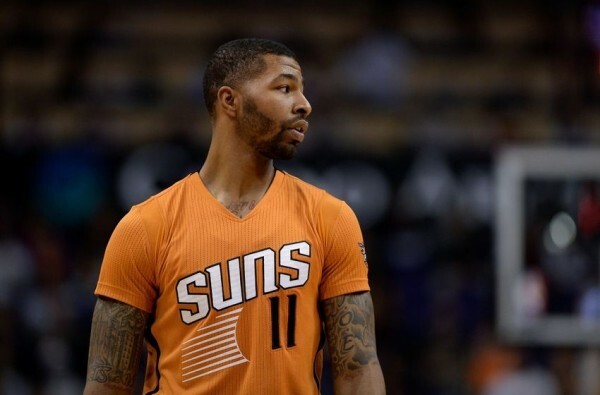 After already getting rid of his brother, Marcus Morris, the Phoenix Suns are trying to see if there’s anyone interested in his twin brother (and the better player of the two), Markieff Morris. Morris isn’t happy about his brother going to the Detroit Pistons, and hasn’t been getting along with Jeff Hornacek as well. The Suns are behind Hornacek when it comes to his handling of the players and the direction of the franchise, so Morris might be on his way out, despite the need the Suns have at the Power Forward position. For a moment there the Suns looked like the emerging surprise of free agency. However, they didn’t land LaMarcus Aldridge (choosing the Spurs instead). Tyson Chandler joining them isn’t bad at all, but that’s not enough to propel the Suns in the very deep and difficult Western conference. Morris averaged 15.3 points last season, becoming a full-time starter for the first time in his four-year career, playing in all 82 games. He’s signed for the next four seasons on a very affordable $32 million deal ($8 million per season for those without a calculator), but it might be too late for teams to absorb the deal without giving up too much considering most of the teams actually looking to add expensive players have filled up their salary cap. Where does Morris land? The Suns are the one doing the pushing here, not outside forces, and so it might take some time before some teams figure out the details and the way to land Morris who is a good player, but not one you go all out to get, especially with his deal lasting through the 2018-2019 season. It’s not that much money for a player who can put up some nice numbers, but he finds himself hitting the market through the trading block a little bit too late.